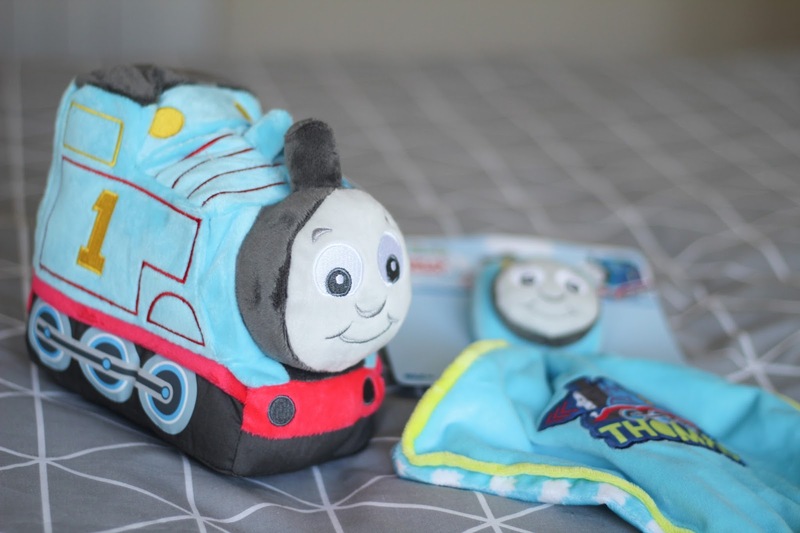 A few weeks ago, we were very kindly sent some items from the My First Thomas range for my 12 month old son Sailor to try out. I'm always partial to anything Thomas & Friends related as my eldest was a HUGE Thomas fan up until he was about 3 and a half, when he seemed to decide that he was too old for it and made the leap to The Avengers and Batman fandom instead. I'll always have a huge fondness for the little blue engine as he reminds me so much of the baby days with my son, so I was really delighted to get to try out the new range of My First Thomas items - these are designed especially for little ones and Thomas has an even more friendly and cheery face than usual, with rosy little cheeks and big round eyes. We were sent the Comforter which is a lovely soft snuggly with a chewable train shaped teether attached to the end, Sailor doesn't really use the teether attachment - he's probably a bit too old for it now - but he does LOVE to snuggle up with the comforter, he took to it right away and it now joins him for most nap times. It's nice and easy to wash too, which is important as these things do tend to get quite grubby don't they?! Poor Thomas has been covered in baked beans a fair few times already but even after a good few washes he is as good as new! 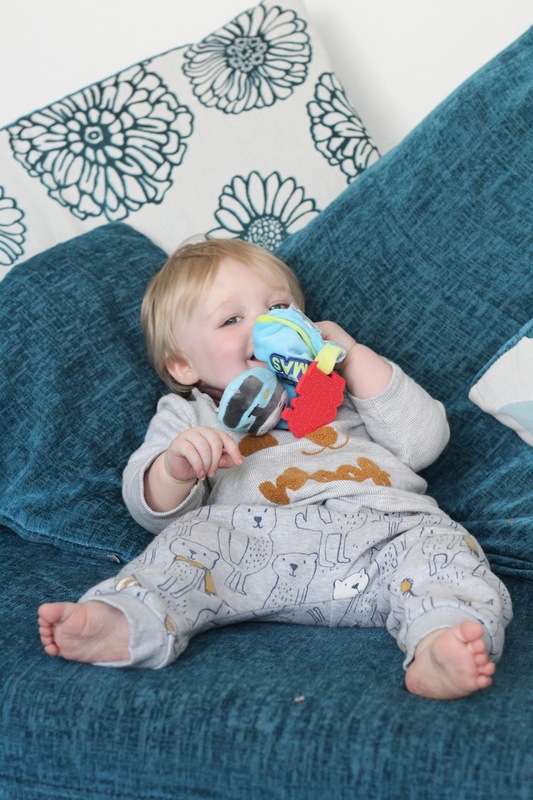 We also received the lovely Thomas cuddly, which was an item we already had for our eldest son and which has been much loved over the years - this one is, again, from the My First range so is more aimed toward younger children and Sailor seems to love having one all to himself. 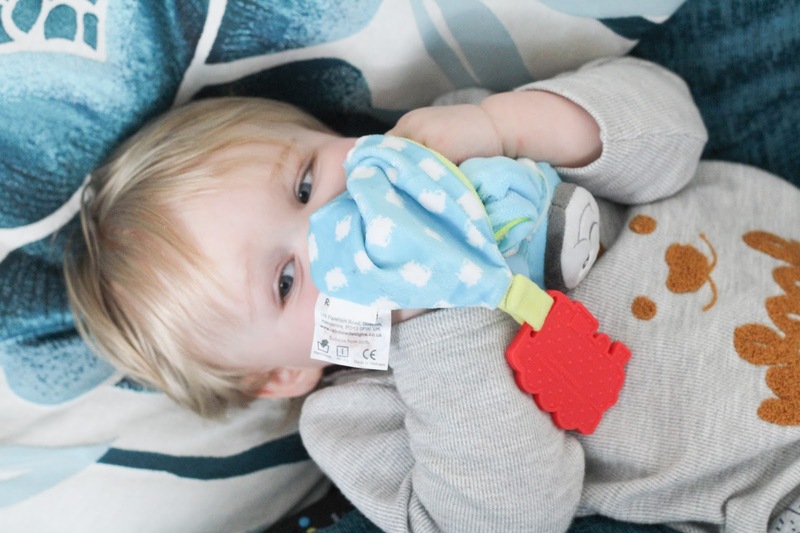 You can find these items and more from the lovely My First Thomas range at Tesco - we highly recommend them for any little steamy fan! If you'd like to win your own My First Thomas toy for your little one, just enter our competition below!